Limit 1 per person and 1 per table. Valid toward food and beverages. Dine-in only. Valid from 4 p.m. until close. Promotional value expires 30 days after purchase. Mediterranean flavors are the perfect accompaniment to any summer evening. 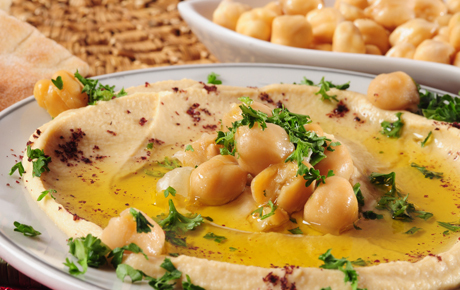 Enjoy a night out with 50% off food and beverages from Chicago’s Pita Grill in Cragin ($24 value). With a variety of flavorful options, this cozy restaurant is sure to offer something to appease your appetite. Chicago’s Pita Grill has only been in business for one year, but it has already established itself as a purveyor of delicious Mediterranean and Middle Eastern food. They offer a full menu with favorites like hummus, gyros and shawarma, as well as American classics like hot dogs and burgers. Traditional desserts like kinafa and baklava will help you end your meal on a sweet note.